Harrisburg, PA – Governor Tom Wolf today joined a bi-partisan group of governors urging Congress to address the reauthorization of the Children’s Health Insurance Program (CHIP) before nearly 9 million children and pregnant women across the country, including more than 180,000 in Pennsylvania, are left without health care. In a letter to House and Senate leaders, the governors asked Congress to make CHIP a priority to avoid disruption to vital health care services for children and pregnant women. “For twenty years, this program has successfully provided vital health coverage and care to about nine million children. Without it, access to essential health services like well child exams, asthma medicine, and hospitalizations will be at risk. As health insurance premiums climb at unsustainable rates, this program gives hard-working families access to otherwise unaffordable coverage. 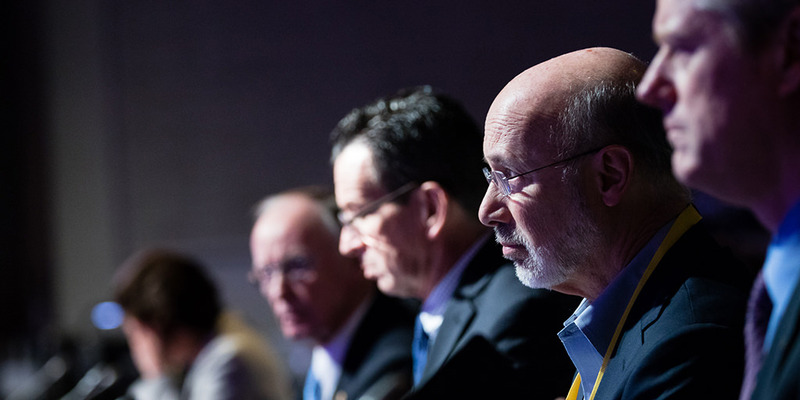 In addition to Governor Wolf, governors Hickenlooper (CO), Kasich (OH), Walker (AK), Edwards (LA), Sununu (NH), McAuliffe (VA), Baker (MA), Bullock (MT), Phil Scott (VT), Sandoval (NV), and Dayton (MN) signed the letter to leaders. “I am proud to join this bi-partisan group of governors, like-minded in our commitment to protecting our most vulnerable – our children who rely on us to care for them,” Gov. Wolf said. “Congress’s inaction can only be interpreted as apathy and there can be no tolerance for that. If Congress fails to renew federal funding, which accounts for 90 percent of program funding, CHIP members will receive a notice from the Department of Human Services at least 30 days before the CHIP end date, telling them when CHIP coverage will end and giving them information on how to get other insurance. For more information on the Children’s Health Insurance Program in Pennsylvania, visit www.CHIPCoversPAKids.com. Read the full content of the letter to Congressional leaders below. You can also view the letter on Scribd and as a PDF.